These are amazing, I was looking to have between 100-150 made. How do I get in touch with this company? Thank you. Before you ask, yup, I made those Tony Stark cards. 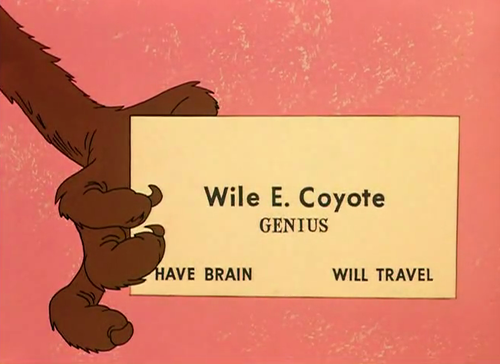 Can you make me some light up business cards? Actually, there really isn’t any strong consensus on pluralizing acronyms and initialisms, different sources do and don’t allow the apostrophe under varying conditions. This is one of those places in English grammar that there just doesn’t seem to be a truly “correct” way. I don’t get that. ” ‘s ” is possessive, not a plural. The whole point of business cards is that you write a URL or a reminder or something on the back when you hand it out. I had a job where the “art” department made us all spiffy stylish business cards with a black back. I took them to my boss and pointed out how useless they were. He had them all destroyed and replaced with “normal” business cards with plain white on the back. You could just glue paper to the back as part of the manufacturing process, this card is defiantly an eye catcher. No. Gluing to the acrylic surface would negate the optical effect. Because then the text doesn’t light up any more? I’m pretty sure there is a solution that is both (semi) transparent and a writeable surface. The only solution I can think of is a separate layer that’s not attached anywhere but at that metal corner, or maybe only lightly at the outer edges. Any broad texture or object fixed to the surface will absorb or dissipate light. I found this out when I got hackaday cards that are black on both sides. I have to try and squeeze my writing into half a white Jolly Wrencher on the front. Doesn’t everyone carry a silver Sharpie? Know what isn’t boring and forgettable? Handcuffing yourself to a customer until they make a purchase. well, where do people that don’t have access to laser cutting equipment order some? Buy one, lasers are surprising cheap these days. The same to me – but I want to buy just 100 cards. It’s awesome. Well, I’d start by emailing the company on the card. These will be expensive, $5 would be a minimum especially for a small quantity like 100. To make them yourself (where labour is ‘free’) would cost about 50 cents each in materials. About 15 cents for the acrylic, 20 for the battery, and few cents for the LED etc. So $500-$1000 to get them made, vs ~$700 for DIY plus you’re left with a laser cutter afterwards. Lame, not even a watermark. Now if it had a hologram as well it would be complete. Every time I hear about new forms of business cards, I think back to the scene in American Psycho with all the business card envy. Pale Nimbus lol. Yeah I think folks that have fancy cards are probably covering up for a lack of character content. Ok. Where do you get an LED and battery small enough for the card? 2016 battery and SMD LED will work for 2mm acrylic. You can get smaller and/or thinner batteries, these cards: http://www.dx.com/p/unique-novelty-credit-card-light-bulb-yellow-1-cr1216-28563 use a 1216 battery, but they’re not quite as common and a bit more expensive. Both of those are 1.6mm thick, you can get 1.2mm thick ones but good luck trying to buy any at a reasonable price. Battery and LED shouldn’t be the problem. What kind of switch is inside the card? And how much does one Card cost? I wouldn’t give away a $5 card just for someone who may have a job, somehow, somewhere, some time. I’m envisioning that the corner area there is hollowed out to hold the likely coin-cell battery and a small SMT LED edge lighting the thing. The switch? The metal plates on either side of the card are soldered (or maybe not!) to the LED, and when squeezed, contact the battery (which is slightly thinner than the acrylic). This should be really simple to make using 3mm or 1/8″ acrylic – a 4 x 8 foot sheet runs about $100.00 USD for clear acrylic; the LED, switch, metal bits, and battery are fairly negligible. I would guess that after labor and parts, you are probably looking at $2 to $5 USD per card, depending on your labor outlay which will likely be the most expensive part; if the whole process were automated (including the laser cutter – and that won’t be a cheap cutter to allow a 4 x 8 sheet with pass-thru conveyor capability), in large quantities you could probably bring it down to under that $2 USD mark. My numbers are only a guess, though – I might be wildly off, I just think if this were scaled properly it could be done fairly inexpensively. Does any one think we can use plastic sheets and something other than a laser to etch the plastic to make a similar end product? This looks similar to the way they make light pipes, those plastic (plexiglass, perspex etc.) “conduits” that bring light from say a pcb mounted led to a panel. I’ve found some info on how to make them at home but either they were incomplete or filled by too complex math and no practical examples. That is crazy. It would definitely make any card stand out, though I wouldn’t hand it to just anyone, but strong prospects for your business. It looks great being in LED business I am thinking about ordering these cards.